On March 6, 1994, a group of people moved into Biosphere 2, outside Tucson, Arizona. Biosphere 2, in Oracle, Arizona, is a scientific laboratory designed to study Earth's ecosystems and the way people interact with them. Biosphere 2 contains mangrove wetland, rain forest, ocean, coral reef, savanna and desert ecosystems, as well as space for human habitation and agriculture. On March 6, 1994, a group of people moved into Biosphere 2, outside Tucson, Arizona. The original biosphere, Earth, is made up of all the parts of our planet where life exists. 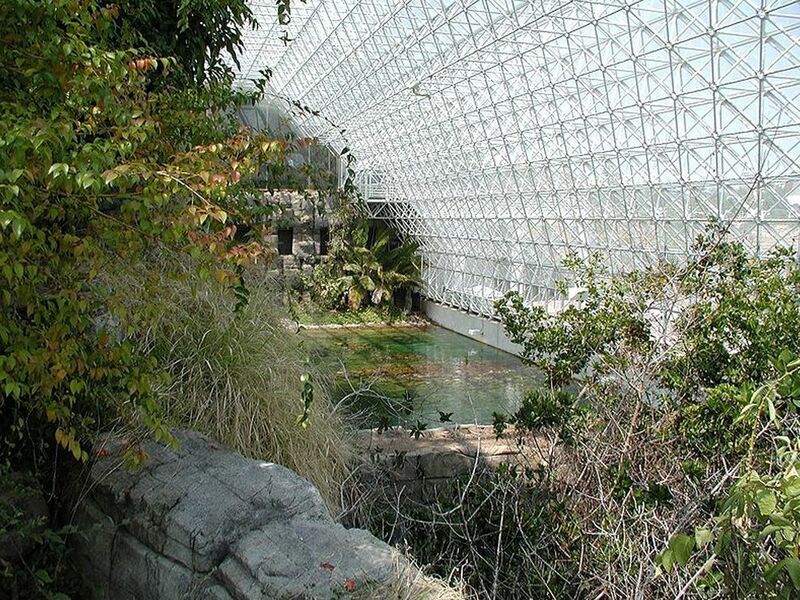 The ecosystems that can be found in Biosphere 2 are the same that can be found on Earth. These include an ocean with a coral reef, mangrove wetlands, a tropical rain forest, a savanna grassland, and fog desert. The seven people who entered Biosphere 2 on March 6 only lived there six months. It was the project’s second mission. Today, Biosphere 2 is owned and operated by the University of Arizona and is an important resource for physical geographers.